MC Systems was started in San Diego in 2007. With over 30 years ownership experience in the industry. We are a Southern California based low voltage contractor. 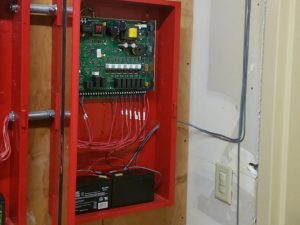 We specialize in fire alarm and mass notification systems. Other services include intrusion, paging, CCTV, intercom and access control systems. 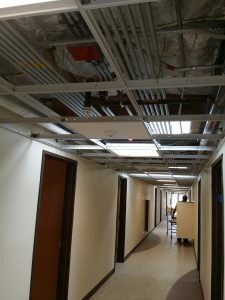 Our office has design build, engineering, and full installation capabilities of the systems we develop and provide. We offer Nicet Level IV Fire Alarm personnel to oversee design and installations. Mass Notification experience has been developed and maintained during our association on multiple military projects on all disciplines at a variety of bases throughout Southwest Region. Feel free to contact us to discuss any of your low voltage needs. SOUTH WEST – SOUTHERN CALIFORNIA – COUNTIES ( SAN DIEGO, IMPERIAL, ORANGE, LOS ANGELES, RIVERSIDE, SAN BERNARDINO ) – PORTIONS ARIZONA AND NEVADA.